Teachers/tutors, party leaders and anyone who organises group ski trips or snowsports courses. What you can do with the qualification? Organise your school or organisation group ski trip. 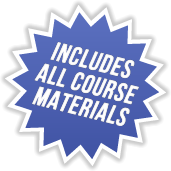 The price includes all training, course materials, validation fees and light refreshments. This course will be held at our centrally located conference facilities in Mansfield, Nottinghamshire. Please note, new dates are always being added to our schedule, so please check back or call us on 01623 456333 if the dates shown do not meet your requirements.